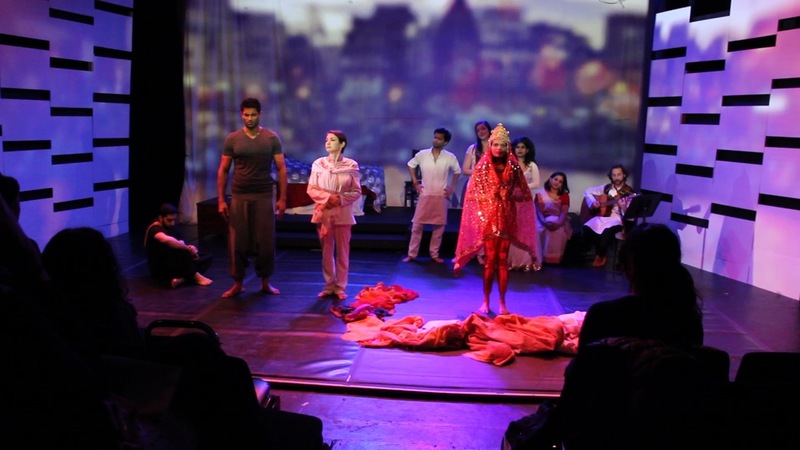 Hypokrit Theatre Company and Junoon Performing Arts presents Devdas and Chokher Bali running in rep through November 20th at Theater for the New City. Devdas is a dance piece that takes a classic Indian love story usually told from the man’s perspective and instead tells the woman’s side of things. In the description in the program Hypokrit Theatre says “We bring to the stage the oldest Indian love story, as it’s never been seen before –where women rule, and love and loss is just a transaction.” This was particularly thrilling to read and raised the bar before the show even began. As the show began it was your typical story of boy meets girl and they fall in love. The girl and boy both love to dance and soon enter a dancing competition, similar to “So You Think You Can Dance.” Through dance the girl and boy are pulled apart; jealously, seduction, and distrust ensue. The director, Arpita Mukherjee, did a nice job telling the story. The emotions that they were battling were clear through their movement of dance. 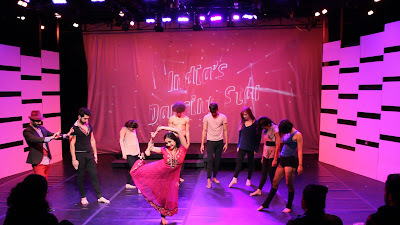 The choreographer, Swarali Karulkar, undoubtedly has a vast knowledge of dance, but the dancers were not as skilled in making her movements come to life. While the movements did help tell the story, it was distracting at times when the dancers hesitated in their drops/spins/jumps. If the choreography level was dropped down by a peg or two it would have helped the dancers feel more confident on stage. If the dancers are confident, then the audience trusts them, and their actions on stage aren’t questioned. Perhaps more rehearsal time was needed for this as well. The performers did make it fun for the audience and had energy even on a night that was sparse due to the election. The dancers were undoubtedly dedicated to this project that much was evident. The music, composed by Aalap Desai, was beautiful. It flowed nicely from scene to scene and complimented the emotions felt in this story. The rhythms connected each scene and provided for fluent changes in location and time. Overall, the story-telling, the music and the passion of the performers was very much appreciated by the audience. Hypokrit Theatre Company is doing a very unique thing and it should be applauded. 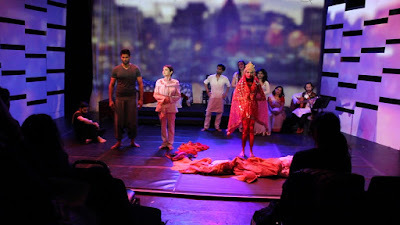 The second piece was Chokher Bali. This tale is adapted by Dr. Partho Chatterjee from a legendary novel about female desire in the domestic sphere. This piece had many actors, most of which were unnecessary in the telling of the story. It was a story within a story so you had your townspeople who are then telling the tale of Ashalata and Mahendra. Mahendra is a rich boy studying to be a doctor that seems to be a forever bachelor until he meets Ashalata. Ashalata and him wed and are madly feverishly in love until Mahendra’s eyes wonder. Mahendra is an Icarus and he has flown to close to the sun when he meets Binodini. Binodini is not necessarily in love with him, but he shows her affection so she goes along with it. She is actually in love with his friend Bihari. Without giving away the ending most people are sad or die. The trouble with this story is that it has been done a million times in every culture. The director and actors had an impossible task at setting themselves apart. First of all there were too many actors with nothing to do on stage; there was a guitar player and beautiful singer, four more actors hanging out occasionally speaking or singing, then you had your main cast of five people. The guitar player and singer should have been the only extra people – they should have been the story tellers and broken the fourth wall telling the story to the audience. Throughout the piece contemporary songs were song to enhance the emotions in the piece. All this did was distract from the actual story at hand and allowed the actors to avoid any real decisions these characters had to make. There was not enough weight given to any choice made by the actors, nothing surprised their character. There was a disconnect between everyone on stage which made the audience feel a restless. Overall the singer’s voices were beautiful and the guitar added a nice transition from scene to scene, but the characters were two dimensional at best.